Plan your stay with us at the west’s premier fly fishing lodge and we are here to make it memorable for you. 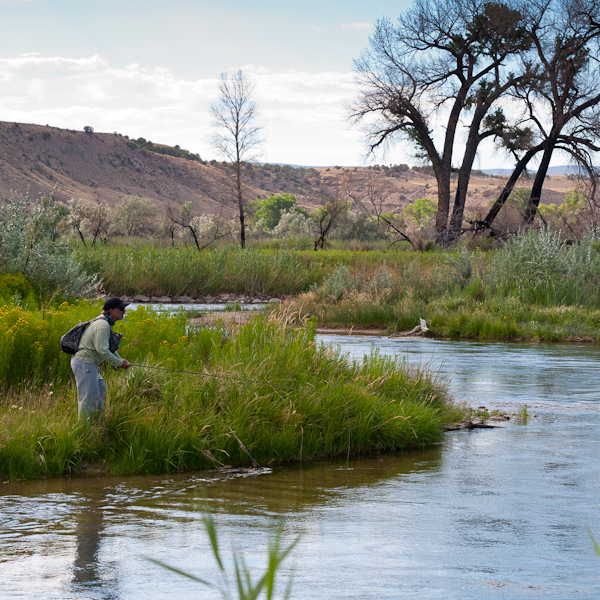 We provide our guests with guided wade/walk fly fishing on secluded eastern Utah rivers and streams like Rock Creek, the Duchesne, Lake Fork, Strawberry, Uintah, Whiterocks and Yellowstone Rivers. 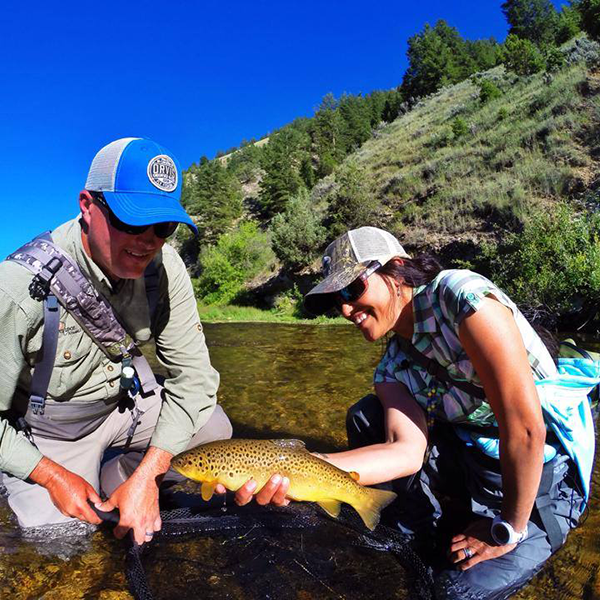 We hold the only National Forest guide permits for Whiterocks, Uintah, Yellowstone, Lake Fork and Rock Creek, you will not run into any other guided fisherman on these rivers. These and many other smaller streams on the south slope of the Uintas provide the thrill and excitement of catching wild trout on a fly. We guide these mountain freestone streams and tailwaters as catch and release to sustain the population of native wild fish. You can also enhance your next trip with a stop on the Weber or Provo River on your drive to or from the lodge or the Lake Fork River Ranch. We can also arrange a day floating the famous Green River below Flaming Gorge dam. Our guides are ORVIS® trained professionals who have years of experience fishing the home waters of Falcon’s Ledge. They have fished all over the west and fish year round. They enjoy sharing their knowledge of the area’s history, geology, flora and fauna. Our guides are staunch stewards of nature, and active conservationists. Your guide will help you improve your casting and presentation skills, and help new anglers with knots, reading the water, stream entomology and how to match the hatch. All needed fly fishing equipment is included, including flies.